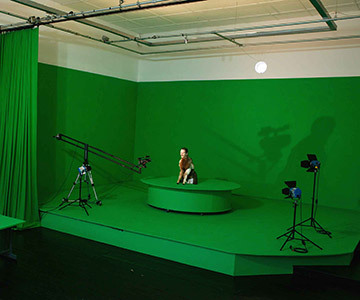 An animatronic robot in a green-screen studio is used to produce an animated film in weekly episodes. Exploring themes of hibernation, the cryonics movement, and the urban myth around the death of Walt Disney. 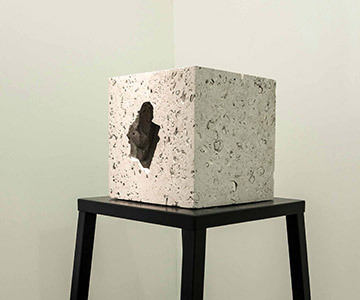 Neurophysiology, psychophysics, and manufacturing technology are linked in the production of a sculptural object. Using bespoke software, a 3D shape is derived from EEG readings of Gustav Metzger’s brain activity as he attempted to think about nothing. 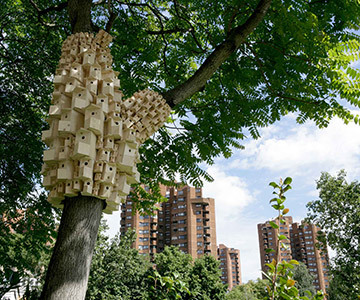 A series of sculptural installations, reflecting the forms of the surrounding architecture and mounted in trees in urban green spaces, provide bespoke nesting sites for several hundred birds and their families. 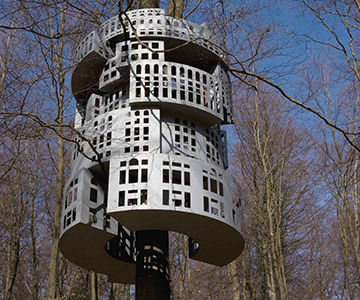 An installation of 'animal show homes' based on the architecture of despots' palaces. 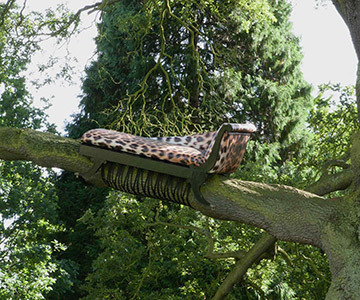 A Regency style observation platform, complete with chaise longue, mounted in a tree at Clumber House in Nottinghamshire. Referencing a previous occupant's failed attempt to domesticate an Indian Leopard as part of his menagerie. 2017 The Smell of Ink, artists film screened at ZKM, Karlsruhe as part of Hansjörg Mayer: The Smell of Ink, within the series Poetic Expansions. 2016 Remember Nature, point d'ironie no.58, in collaboration with Gustav Metzger, international distribution. 2014 Biofiction, screening of artist film THE PUBLIC MISUNDERSTANDING OF SCIENCE, Linz, Vienna, Nijmegen, Tokyo. 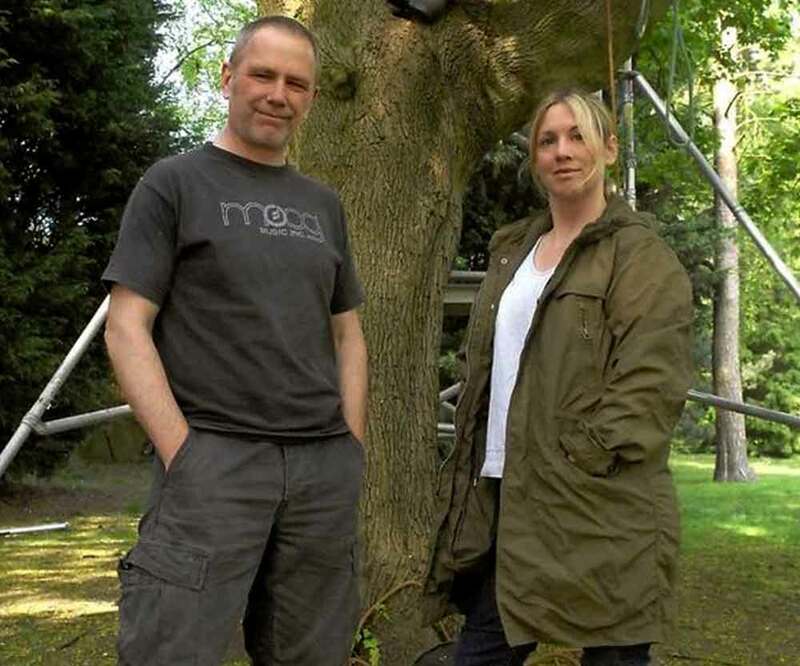 2014 Remote Performances, radio and sound-art project broadcast from artist treehouse studio, Outlandia, Glen Nevis, Scotland. 2013 Spontaneous City, a permanent 20m high sculptural installation commissioned by Rei Kawakubo for Dover Street Market, New York, USA.